If you aren’t too knowledgeable about cars, it is pretty common to be unaware of some product types. You see, aside from your usual “Automobile” category for vehicles, there are also product types like “Commercial Vehicles” or “Luxury Vehicles”. The commercial vehicles are the vehicles used for mass transportation like buses and trucks while the luxury vehicles are the vehicles designed to be more extravagant than the others for a higher price. 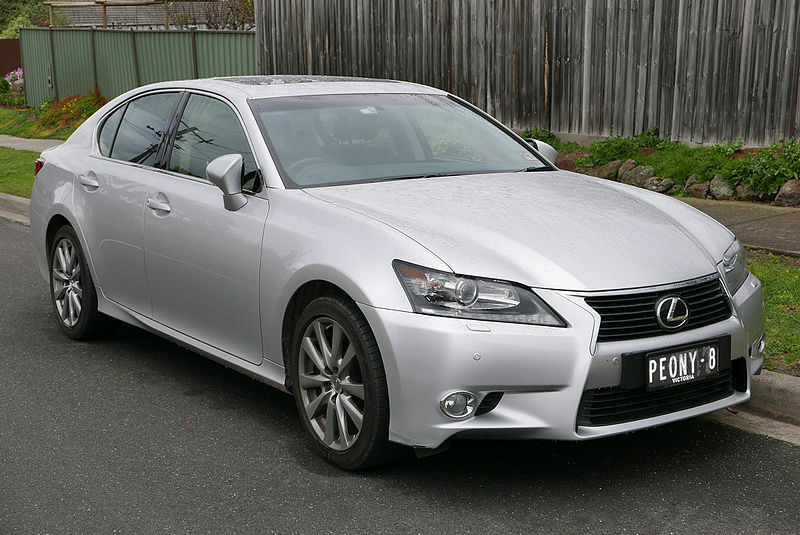 If you want to know more about these luxury vehicles, the automaker known as “Lexus” would be a good place to start because they are one of the best at making these luxurious rides. Before getting into how Lexus got to where they are nowadays, you should probably first know what they are in today’s automobile industry. Much like how Honda had its Acura and Nissan had its Infiniti luxury division, so too did Toyota have theirs in the form of Lexus. This Lexus marque has become a dominant force in the luxury division of the automobile industry and it can be seen in how they were able to establish themselves in over 70 countries worldwide, becoming Japan’s biggest seller of these luxury cars. The HQ or headquarters for Lexus can be found in Nagoya but they also have operational centers located in places like the Plano, Texas, and Brussels, Belgium. These luxury car divisions were born from competitiveness because each of them was created by their mother companies because they all wanted to monopolize of the voluntary export restraints that the Japanese government imposed for the market in the US. Basically, this “Export Visa” made it incredibly profitable for Japanese carmakers to send out their more expensive models to the US hence, the creation of the luxury brands in Japan. The different companies had different timelines for the development of their luxury divisions but in the case of Toyota for Lexus, it was all set into motion in the year of 1983, when Eiji Toyoda, who was the Toyota chairman at the time, challenged his company to create the world’s best car. This challenged ignited the project called F1, which was short for “Flagship One”, and it would be the project that would eventually develop and create the Lexus LS 400. Of course, this would not happen immediately because the name “Lexus” wouldn’t even be thought off or conceived until the year 1986. The image consultant hired by Saatchi & Saatchi, Lippincott & Margulies, was in charge of creating the list of possible names for the luxury brand of cars that Toyota was planning to launch. After extensive research, the final 5 choices were Vectre, Verone, Calibre, Alexis, and Chaparel. Among all these choices, it would be Alexis that would be chosen but they wanted to make it a little more unique so they decided to switch up the letters a bit until they reached the name “Lexus”. It turned out to be a great name because it seemed to be a word that was produced by mixing “luxury” and “elegance” so it was perfect for the branding they were going for with these premium models. 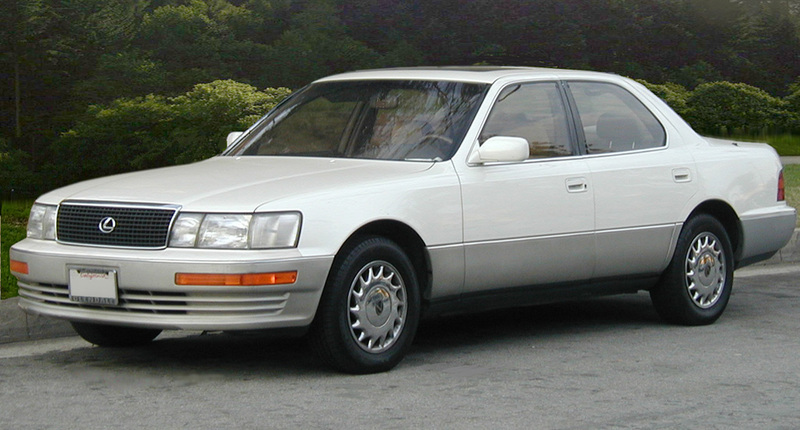 Once everything was ready for the launch of Lexus, they released the LS 400 model and the rest was history. This first model was praised for its interior design that was described to be amazingly ergonomic. This meant that the switches, buttons, and everything else in the interior of the car were placed in a way that made it easy for newbies to navigate around it. In addition to the wonderful design, it was also applauded for its quietness as you drove it and its engine performance and fuel economy. This first model gave you things you never thought you needed. It spoiled you and, with this first model, the standard of Lexus cars in the market was established in the best way possible and in the best light as well. There are many car types that Lexus develops models for but their SUV models are usually sought out because buyers usually want a luxury car that can fit a family comfortably. With the seating capacity the Lexus SUVs supply, this should be the last thing the market can worry about with the Lexus models. A perfect model to start with is Lexus’ SUV line is the Lexus NX. The NX stands for Nimble Crossover and it is exactly what you get with this compact luxury SUV. It was first released in the year of 2014 at the Beijing International Automotive Exhibition and it awed the spectators. If you see the features that the latest NX has, it will surely put you in awe even more. It has iconic lighting which allows the car to have Triple-Beam LED Headlamps. It also comes as a hybrid car which means that it partially runs of fuel as well as electricity through the electric motors integrated to the engine. It is this combination that makes it possible for the hybrid model of this car to reach 31 MPG or 31 Miles per Gallon. If having a hybrid model isn’t what you want, you may pick the option of getting the 235 HP 2.0 L Turbo engine version of the NX for cheaper. It has many more performance enhancing features but a feature that might raise your eyebrows with this model is the 54.6 cubic feet of space for cargo room and the kick sensor equipped in this car. If you didn’t know, a kick sensor is a sensor that allows you to open the rear door of the NX with just a wave of the foot. It’s perfect for loading and unloading because you get to open and close the rear door with ease. If the NX was marketed “Nimble Crossover”, the RX model was marketed as the “Radiant Crossover” and even the “Recreation Cross Country” in some markets. You would think that since the RX is also an SUV made by Lexus that it would be equipped with exactly the same features but you would be very wrong to assume this. 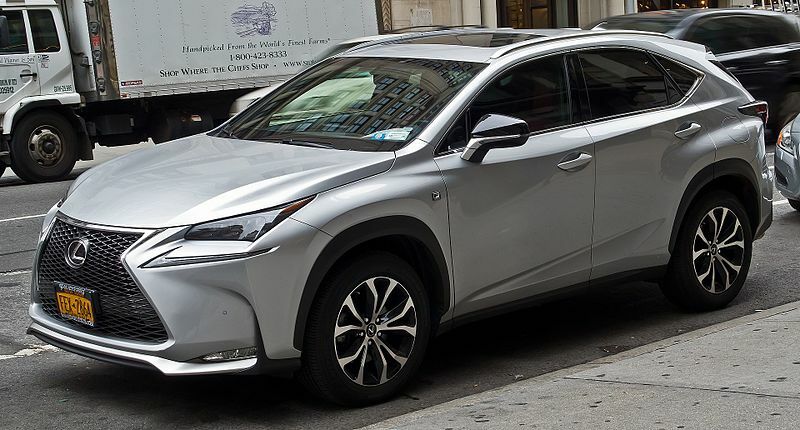 Lexus made a way for the RX to be at the same quality of their other SUV models but in its own unique way. With the RX, they were able to differentiate the model by making it the first Lexus SUV to have three-row RXL which allows it to have a flexible seating capacity for 6 to 7 people easily. It doesn’t have a kick sensor but it is equipped with a “Touch-Free” rear door sensor that does exactly the same thing as the kick sensor but instead of sensing your foot, you simply have you hover your hand over the Lexus logo of the rear door to open it. It also comes with some very useful automated features like cruise control as well as smart LED headlights that, when turned on, allows your headlights to go into high-beam if it detects no headlights coming its way. When it does sense oncoming traffic, it also automatically resets to your normal lights to not blinding the drivers on the opposite side of the road. As for the LX, it stands for “Luxury Crossover” and its name can honestly be misleading if you see the features of this SUV. It sells itself as a “Luxury Crossover” but it is actually the type of car you want with you on the dirtiest of road trips because of the power and control this model offers the driver. It is able to produce a lot of power because of its 5.7-liter V8 engine that has 403 lb-ft of torque power. In addition to this power, this car is also equipped with VGRS or “Variable Gear-Ratio Steering” and Adaptive Variable Suspension. The combination of these two features makes it incredibly easy to navigate through the most unusual of terrains. It is equipped with the same safety features as the RX so it isn’t bad to drive for city driving as well and it is also equipped with a pretty cool entertainment system that gives all riders screens to enjoy whatever movie you want to watch. Strangely enough, Lexus released another SUV model called the UX in the year of 2017 and it is supposedly the size of SUV that falls under the NX which makes it the smallest one. It is also because of this that it is called the UX because the UX stands for “Urban Crossover” which means that it was designed more for city driving. Since it is a new model, it has not be talked about a lot but with the technology available to Lexus, you can be sure that the newer and upcoming generations and versions of the UX will be as wanted and desired as the previously discussed Lexus SUV models. The LFA is a special Lexus model because it was actually discontinued in the year of 2012. It was a sports car class of Lexus that had a 2-door coupe body. It first hit production in the year of 2010 and ended production on a high note because it was able to set an impressive record through its speedster variant called the Nurburgring Package. This version of the LFA was able to out-lap the record of a Porsche 911 GT2 RS on the “Dottinger” uphill climb as it recorded a lap time of 7.14.64. This crazy lap time was definitely archived and it became a great selling point for this car. In 2016, Lexus officially stated that there would be no new LFA replacement because it has become an icon of a model for Lexus. The Lexus European boss named Alain Uyttenhoven even went as far as saying that it had its status assured even 25 years later. He then followed this statement up by saying that they will possibly create another supercar one day but for now, their focus is on the development of other features for their other models that cater to lifestyle improvements in everyday lives. There is a car that pays tribute to the LFA and that is the Lexus sedan known as the IS. This compact executive car hit the market in the year 1999 and it has been in production and getting better as the years pass. The Lexus IS models you can see on the market today are installed with some very useful features for both city driving and speedy driving. There is a sports version of this car and that obviously has more sports car features than the regular IS like an LFA-inspired Digital Instrumentation but even the regular model can reach the speeds of 140 mph with ease so that should be a big bonus for any buyer of this model. Aside from the usually multimedia display that Lexus installs in their cars, the IS model is also equipped with a performance driving control which allows you to choose from “Eco-Driving”, “Normal Driving”, and “Sports Driving”. In addition to all these features, the IS has touch-based climate controls that can make the temperature inside the car hotter or colder with a quick press of a button. If the IS model doesn’t fit your taste for a sedan, you can check out the ES model. Like the IS model, this car can come in a hybrid type which has been recorded to have a 40- MPG combined estimate. That is an incredibly efficient MPG record and the impressive fuel economy of this sedan model is complemented by an aerodynamic design that also contributes to its great efficiency. This sedan model can come in something they call an Ultra Luxury Package which is a version of the ES that has 2 retractable rooftop windows for both front seats and back seat passengers. This car also has the performance control that the IS model has but in addition to that, the ES model has a Mark Levinson Audio System that makes any music or karaoke session in this car sound a lot better. The LC Model of Lexus isn’t a sedan but it is a magnificent model made by Lexus. It falls under the coupe type and its light weight and low center of gravity make it a perfect speedster of the road. In addition to the lightweight and low center of gravity, this car also comes with a 10-speed direct-shirt automatic transmission that makes gearing up and gearing down automatically a lot smoother. Since coupe types are usually sporty cars, the design of the interior of the LC is driver-centric in a sense that you’ll feel like you’re in a racing car. This car is also equipped with the LFA-inspired digital performance gauges which add to its already slick look. It is truly a beauty of a car and it should be on your list of cars to get if you are looking for a good sports car coupe to get. With all these models discussed and shown, it is clear that Lexus has found a way to stay ahead of their competition using exterior as well as interior designs and integrating these designs to their latest discoveries in fuel economy technology and other automated features that make driving this car a treat for the driver. Lexus’ goal was to create cars of luxury and they did just that by creating cars that really spoiled the driver on multiple levels. If they continue progressing at this pace, there might not be any competition in the luxury division of the automobile industry sooner than you think.